The Art of Calculation and dosage with cannabis products. 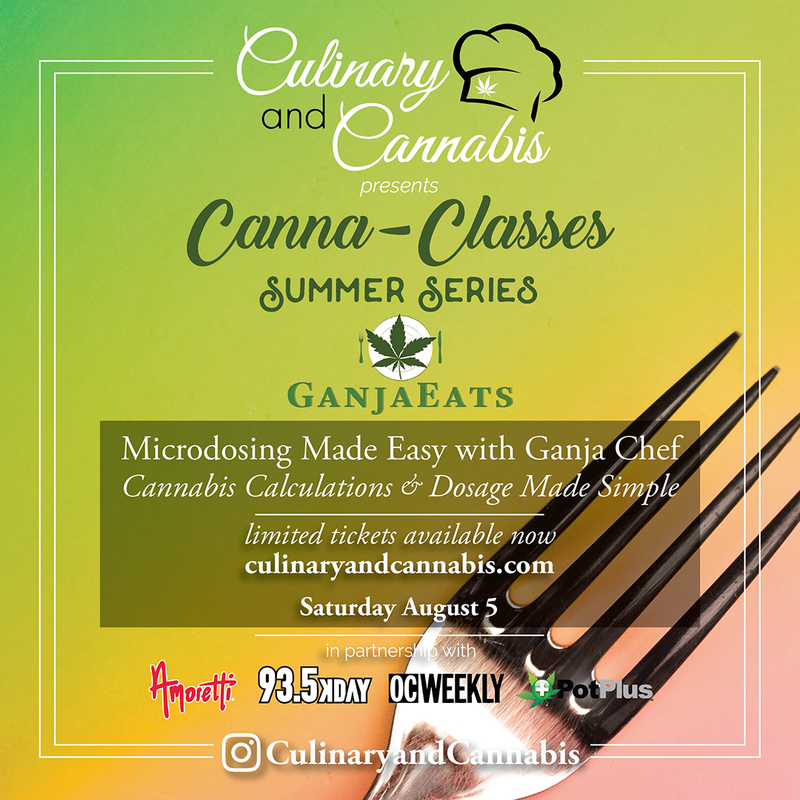 Come learn how to use pre-made cannabis condiments provided by the Ganjaeats product line such as Canna-butter, cannabis soy sauce, Canna-butter cream, cannabis milk, cannabis seasoning and more during this class. You will learn the art of proper calculation and dosage to infuse in your everyday cuisine, so if your a home chef or culinary trained chef who wants to learn how to prepare elevated dishes this is the class for you. Education is key to creating the best product for your patient, by having the proper education you help decrease those episode of bad cannabis experiences. So come get EDUCATED.